Environmental friendliness is one of Veroni’s top priorities, along with guaranteed high-quality products and customer satisfaction. 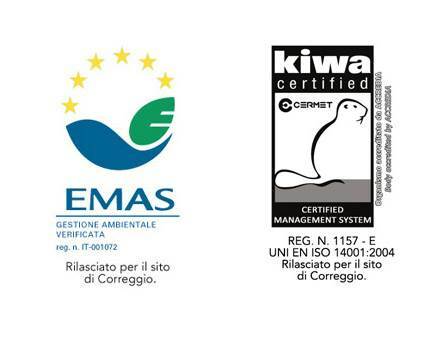 To underline this, for its site in Correggio, Veroni has introduced an Environmental Management System in accordance with the UNI EN ISO 14001:2015 standard, as certified since July 2008. It has also produced an Environmental Statement pursuant to Regulation (EC) No. 1221/2009 and it has listed the organization on the EMAS register. By voluntarily taking part in these schemes, the company aims to constantly reduce the environmental impact of its facilities, especially in the residential areas around the plant. Veroni has provided all of the resources needed to put the schemes into practice and make continual improvements. Our Quality Management System is certified by an authorized independent body which ensures that the company keeps the promises made to customers on the quality front. By taking part in a voluntary international certification system, we have underlined our desire to guarantee that consistently high standards are maintained in our production process. 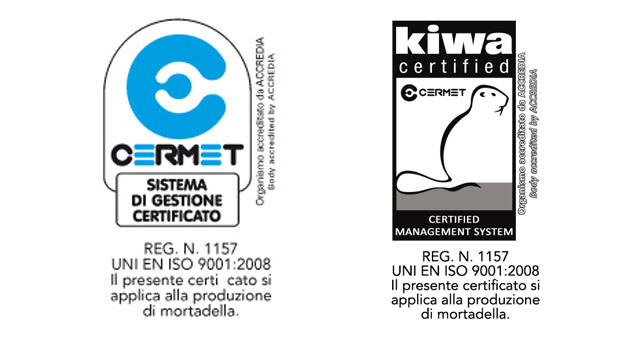 Veroni has been awarded UNI EN ISO 9001:2008 certification for mortadella production in its Correggio plant and cooked ham production in its plant in Gazzata, San Martino in Rio. Veroni has always strived to make continual improvements to its processes so that it can meet its customers’ requirements and expectations by producing safe cured meat of ever higher quality. Veroni already has a health and hygiene safety self-monitoring plan not only for production but also for its environments, staff and customer delivery service. This allows it to identify and monitor any critical points in the production process in accordance with the HACCP approach. Nonetheless, Veroni wants to give a further guarantee of the safety and quality of its products. 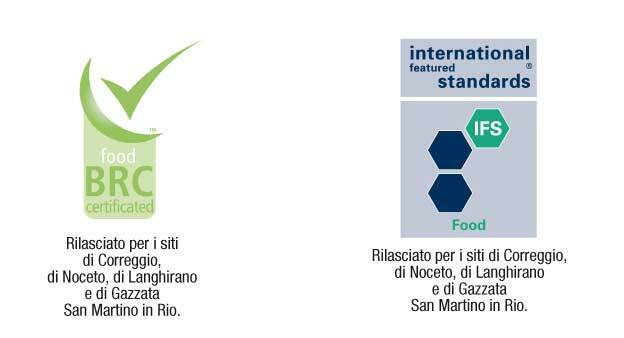 Therefore, for its production of mortadella, cooked ham, coppa and pancetta, it has also decided to comply with the strict, voluntary international IFS (International Food Standard) and BRC (British Retail Consortium) standards, which cover all of the aspects relating to health and hygiene in food production. An independent certification body ensures that regular inspections are carried out to check that the company complies with the standards.